A short sale occurs because the seller owes more on their mortgage than the property is worth (current market value). Also known as a sales compromise, a short sale involves the lender and the homeowner agreeing to sell the property in order to avoid a foreclosure. Because the home is sold for less than the amount owed, the bank will agree in writing to take a loss on the sale. The VA allows you to use a VA loan to to buy a short sale home. 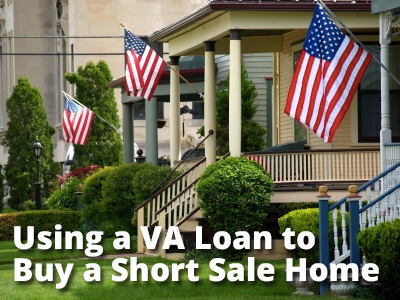 The VA also allows you qualification for a VA loan after you go through short sale. Veterans can use their VA loan to purchase a short sale property as long as the home meets VA guidelines (safety, livability, and a justified sale price insured value). Potential advantages and disadvantages accompany the purchase of a short sale home. 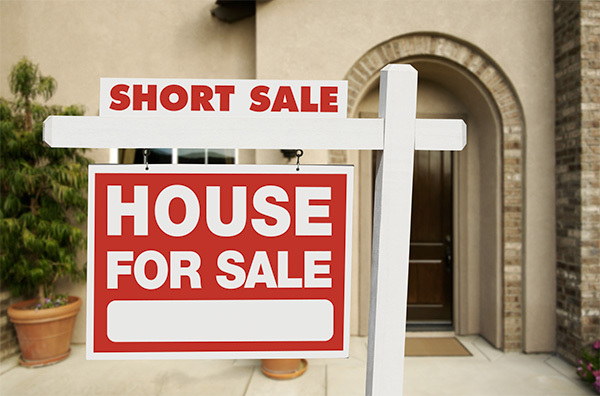 Short sale houses are listed below market value, which presents the buyer with a cheaper alternative to a non short sale property. Usually, a purchaser can buy a short sale property with no money down, lower interest rates, up to 6 percent of the closing cost paid by the seller, and no monthly premiums for mortgage insurance. Buying a short sale home may mean long waiting times for an offer to process. These properties often take as long as 60 days for the seller to respond to the offer. As a result, interest rates potentially fluctuate. Purchasing a short sale means buying the home as it is. Repairs could be costly and may need to start before the buyer moves in to their new home. Theoretically, the potential buyer may need to be willing to pay for repairs on a home that they do not yet own. A short sale is a far more appealing outcome for an underwater seller than a foreclosure. A short sale is beneficial because the sale will appear on the buyer’s credit report as a settlement, whereas a foreclosure will remain on their credit report for seven years. Owners who previously foreclosed will usually be looked upon more negatively by lenders than those who short sold. A bankruptcy or foreclosure could ruin your credit, increasing the amount of time it will take to buy another home in the future or making it impossible altogether. Some lenders flat out refuse to work with someone who has previously foreclosed; this is not the case for those who have been involved in a short sale. Once your short sale is complete, the veteran or active duty member is completely free of debt and remains eligible to receive another VA loan. For a veteran or active duty service member to qualify for a short sale they no longer need to be behind on their mortgage payments, however, they do need to provide evidence of a recent hardship that would prevent them from paying their mortgage. Examples of these circumstances include medical expenses, death of a primary income earner, decreased earnings, permanent change of station orders, and divorce. Other circumstances might also be acceptable to the United States Department of Veteran Affairs. For the VA to approve a short sale, they will first make sure there are no other liens against the property and the cost of a short sale will likely be less expensive than completing a foreclosure. A short sale can be nullified if the veteran was wounded on duty while forward deployed. The veteran may then be eligible for a grant from the Department of Defense that would completely pay for the deficiency. After contacting a VA lender to short sale, the VA will have a licensed appraiser do a liquidation appraisal. If the appraisal shows the home is worth less than the agent thinks it should be then the agent can request another appraisal. The agent can also submit a comparable sales report that shows for how much surrounding houses were recently sold. The time taken to close a short sale differs with every home; depending on how busy the bank is and how many negotiations there are among the REALTOR®, escrow, and lender. The short sale will usually close within 60-90 days, but can also take over a year to complete. If you go through a short sale, your military clearance will not be affected. For veterans and military members upside down on their mortgage looking to short sale, VA Home Loan Centers provides our services free of out of pocket cost. You will not have to pay closing costs, commissions, or fees of any kind out of pocket. VA loans are among the easiest types of loans to qualify for. Veterans and active duty military personnel will not have their eligibility for a future VA loan negated by a short sale. A VA loan following a short sale will still have no down payment requirement and no mortgage insurance requirement . The only difference between the original VA loan and the new VA loan is that new loan will be for a lower amount if the entitlement was reduced. As long as the borrower is up to date on their payments and was up to date on their mortgage at the time of the short sale, then they can qualify for a second VA loan the day after the short sale is closed. A credit score of 660 and a short sale listing of “paid in full” also allows a borrower to qualify for a second loan immediately. A VA loan applicant who had late mortgage payments at the time of the short sale, or who had a previous foreclosure or bankruptcy, will have to wait two years before they can qualify for another VA loan. Whether you need help going into a short sale, getting another VA home loan after a short sale, or buying a short sale home VA Home Loan Centers can help. Call 888-573-4496 now.